A.S.T. (Alliance of the Southern Triangle) is an experimental initiative of artists, architects and curators. Their work takes a range of forms, including painting, sculpture and architectural work as well as video installations, all of which explore how speculative art and design can be a site for the development of thought appropriate to the geospatial, political, urban, ecological and cultural realities of the 21st century. The work of A.S.T. has been shown at Sharjah Biennial 13 (2017); Schmidt Center Gallery, Florida Atlantic University, Boca Raton, US; Multimedia Cultural Centre, Split, Croatia and Smithsonian affiliate HistoryMiami Museum, US, among others. 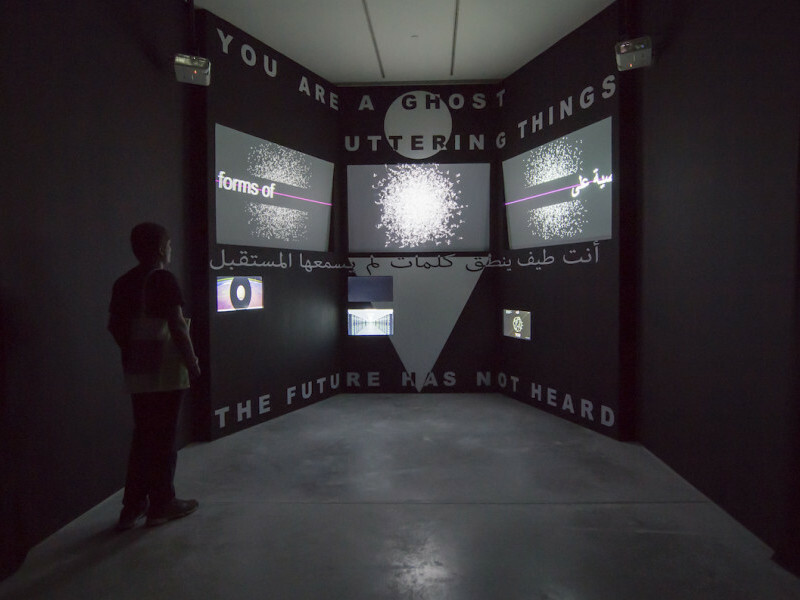 The project for Sharjah Biennal 13 was managed by Diann Bauer, also part of the working group Laboria Cuboniks, who wrote Xenofeminism: A Politics for Alienation (2015). She has independently screened and exhibited work at Tate Modern, London; New Museum, New York and Deste Foundation for Contemporary Art, Athens. Formed in 2015, the group includes Diann Bauer (London), Felice Grodin and Elite Kedan (Miami) and Patricia M. Hernandez (New York). They often collaborate with others outside the immediate group, and for Sharjah Biennial 13, they worked with architect and writer Keller Easterling (New York).